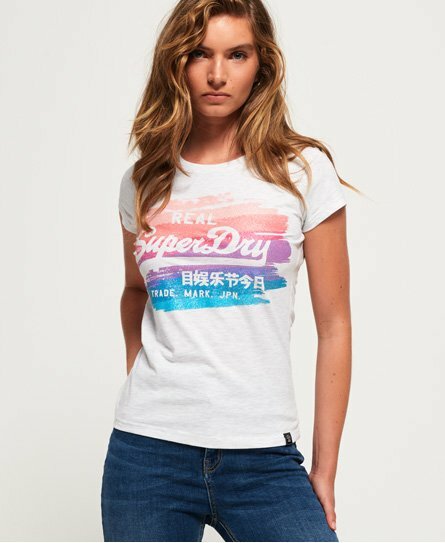 Superdry women’s Vintage Logo painted rainbow t-shirt. Add a pop of colour back into your wardrobe this season with this rainbow short sleeve t-shirt. This tee features the iconic Superdry logo across the chest in a textured glitter print and a flattering crew neckline. This tee has been finished with a Superdry tab on the hem.